Through May 31, 2017, new cardmembers who sign up for either a Hilton Honors or Hilton Surpass credit card from American Express are eligible for sweetened sign-up bonuses. The Hilton Honors no annual fee card will now earn 80,000 Hilton Honors points after you spend $2,000 in the first 3 months. That’s up from the 75,000 points previously offered, but requires $1,000 more in spending, which makes it a mediocre value proposition for most people. 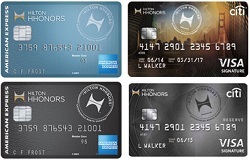 On the other hand, the new offer for the Hilton Honors Surpass Card is much better. New cardmembers will now receive a free night certificate on their Card Membership anniversary in addition to earning 100,000 points after spending $3,000 in their first 3 months. Getting the free night certificate does require that you pay the $75 annual fee for the second year, but you should easily be able to redeem the free night certificate for a value far exceeding $75. Starting today, through April 5, 2017, the Starwood Preferred Guest Credit Card from American Express is bringing back its highest ever sign up bonus of up to 35,000 Starpoints. That’s up from the 25,000 Starpoints usually offered for signing up. Earning the bonus breaks down as follows: New cardmembers will earn 25,000 bonus Starpoints after spending $3,000 within the first 3 months and they will earn an additional 10,000 bonus Starpoints after spending another $2,000 within the first 6 months. Chase’s newest Ultimate Rewards card, the Chase Sapphire Reserve is now available online. The new card comes loaded with benefits, but at a price. Most noteable among its perks is a 100,000 point signup bonus for spending $4,000 in the first three months of opening your account. But it also carries a $450 annual fee which is applied to your first statement. A rare public link is currently available for American Express‘ Platinum Card that offers a hefty 100,000 Membership Rewards points. In order to earn those points, you’ll need to spend $3,000 in your first 3 months. It’s basically the same Amex Platinum 100,000 point bonus deal that was seen last August. 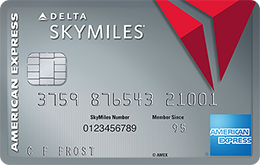 While the card’s annual fee of $450 is not waived under this promo, the card does come with a number of nice perks that can help offset it. The ever popular Southwest Rapid Rewards credit card deal for 50,000 bonus signup points is back once again. Under this promo, both the Southwest Airlines Rapid Rewards Plus Card and the Southwest Airlines Rapid Rewards Premier Card earn an intro bonus of 50,000 points after you spend $2,000 in your first 3 months of cardmembership. The Plus card carries an annual fee of $69 while the Premier card has an annual fee of $99. Neither of these fees are waived under this offer.